"Our relationship is not any good. When I told him to park the motorcycle, he got pissed. Then he had the accident, and since then he doesn't like me, and I'm learning not to like him. He wants to break all my records, and I say break 'em, I really don't care. I've done my job, my job's over, now you have your shot. He has got to realize who he is. He is an elite athlete in the National Football League. Now he's got an image problem right now. Best thing to do is don't ever put yourself in that position again. When you're through playing football, do whatever you want to do, but right now, stay clean." So if you're keeping score, Roethlisberger has had well-publicized rifts with his former coach, his former offensive coordinator, his future Hall of Fame receiver, and the face of the franchise during its glory years. Anyone else seeing the makings of a pattern here? Totally agree with Bradshaw here. Take it from the guy that's been in your shoes and made some of the same mistakes, Ben. 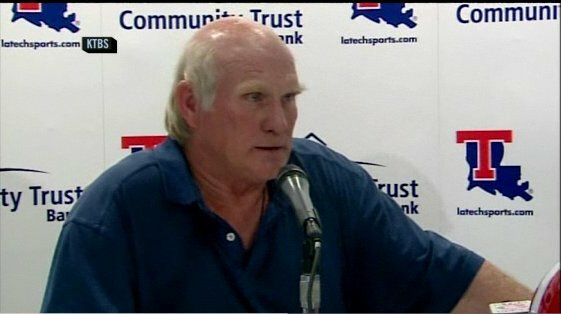 With all due respect Nate, I don't think Bradshaw's mistakes could hold a candle to Big Ben's transgressions. 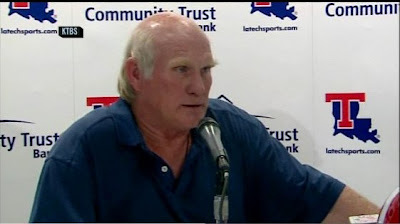 Who would have thought we'd see the day that Terry Bradshaw could be called a wise man with all sincerity? Ben is an idiot. White trash with money. I can honestly say that the past months have completely changed my view of Ben Roethlisberger. I used to think he was a decent guy, hard working, and generally a good person to represent the team. I chalked some of his off-field incidents up to being caught in the wrong place at the wrong time type of incidents. Now, I realize that he does not deserve nearly as much credit as I have given him in the past. He has questionable judgment time and time again and seems to want to listen to no one. When has Mondesi's House ever been so critical of Ben Roethlisberger? I can't take pity for men of Ben's kind.... one day he'll take it behind. Now that he's off the hook with the law, when's your next man date with him going to be? I'm sure you've missed each other. Good point on the pattern Ben is showing. I hope this does not effect his on the field performance cause that is all he has left for the fans of this organization.